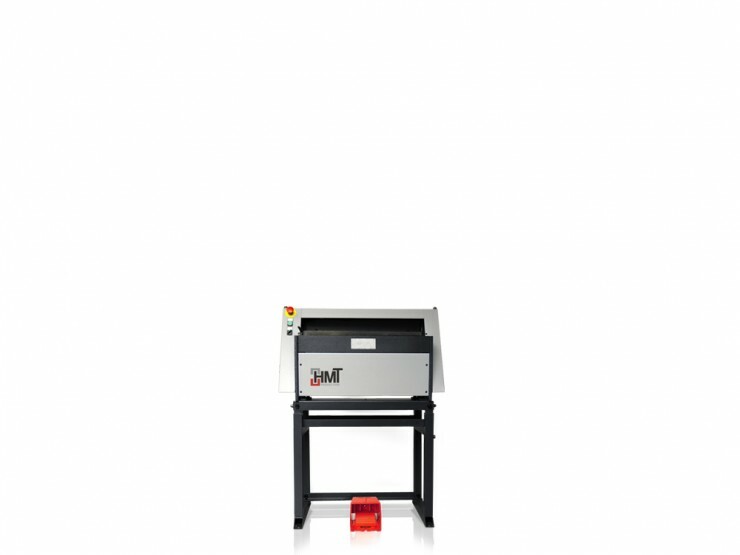 Machines of type TS, and models TSM 06/12, TSM 10/10 M are shears of steel construction suitable for cutting thin sheet metal, printed circuit boards, plastics and etc. They are normally equipped with the simple manual back gauge with the possibility of cutting at an angle and with an illuminated shearing line. Back gauge is equipped with a millimeter scale. They are equipped with LED lighting cutting line, the front and rear angle gauge, and are driven by an electric motor and are suitable for use in series production. We can supply on request of customer the stand that facilitates operation of the machine. The machine is easy to maintain and operate. The manual version is marked as type TS.